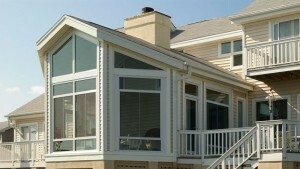 U.S. Patio Systems and Home Remodeling is a TEMO sunroom dealer serving Minneapolis, Minnesota. What does that mean? It means that we specialize in installing some of the finest sunrooms made in America – quality-crafted structures that give homeowners the ability to enjoy the beauty of the outdoors without having to contend with rain, wind, and bugs. A far cry from the “box on a house” look that was popular in decades past, every TEMO sunroom features a sophisticated design that helps it to seamlessly blend in with the rest of the home. TEMO sunrooms come in various sizes, meet or exceed all residential building code requirements, and are built using only high-quality components that aid in their structural rigidity, energy efficiency, and appearance. Whichever model you ultimately decide on, your new TEMO sunroom will be the perfect accompaniment to your home, an addition that immediately creates more livable square footage and a better quality of life for everyone in your family. Every TEMO sunroom that we install quickly becomes a popular gathering spot that can be enjoyed year round. If you think you might like to have a TEMO sunroom added on to your home, please contact U.S. Patio Systems and Home Remodeling, your trusted local TEMO dealer. We also do patio cover installation, pergola installation, basement finishing, bathroom remodeling, and more.